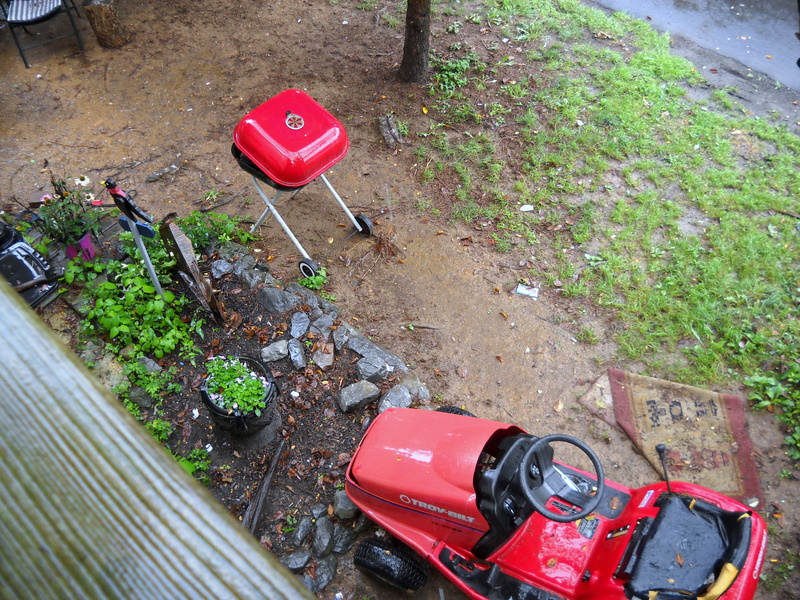 Hey, did you know about my downstairs neighbors’ tractor? No? I hope it dies in the hurricane, even though that might effect the fall harvest of NOTHING. Previous post ← Goodbye, Summer 2011. We hardly knew ye. You should see how using that barbeque as a fire pit really adds to the evenings.